Your company’s good standing depends on fulfilling yearly requirements given by the government-established bodies in Hong Kong. 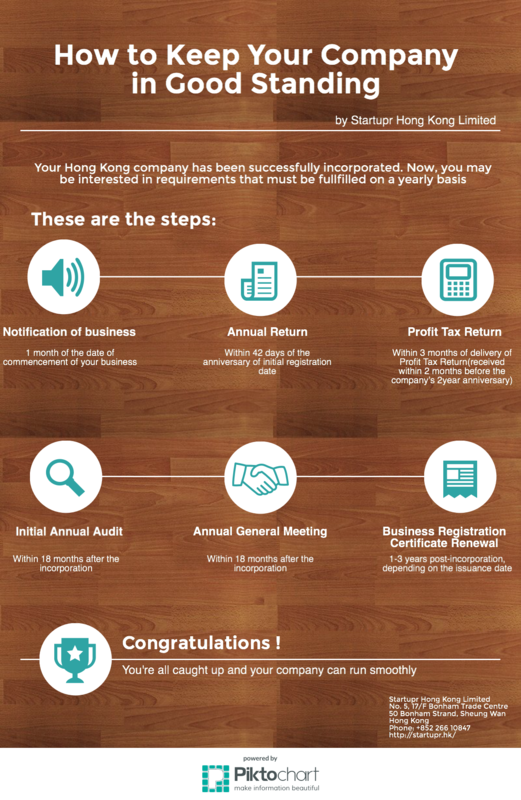 We’ve simplified the process of keeping a Hong Kong private limited company in good standing in an easy-to-follow infographic. For more information download our Hong Kong Company Guide.